The Kerala state government today launched a comprehensive medical insurance scheme for the 56,000 police force. It is expected that the state government would incur an annual expenditure of Rs 20 cr on this scheme. 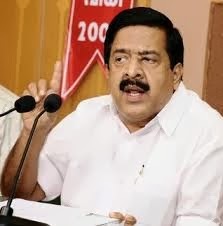 Making a statement under Rule 300 in the Assembly, the Home Minister Mr. Ramesh Chennithala said the cabinet meeting yesterday approved the scheme, which was worked out with United India Insurance Company, a state-run general insurance firm. “When this scheme is introduced, it will help nearly 56,000 police personnel and their families,“ the minister said. The key feature of this scheme is that the insured police personnel will not need to pay premium. The entire premium amount will be borne by the state government. Under the scheme, those police personnel who get injured in accidents, police action or any encounter with a violent mob, will get treatment expenses with a buffer limit of rupees one crore for the entire police force. In addition, they will also get the family floater amount of Rs 2,00,000.